This story started with the combination of mad science and “framing” — the idea that the frame in which an idea is presented by the media determines the public’s reaction to the idea — and the fact that a certain well-known comic-book mad scientist’s superheroic rival was also known to be very good friends with many members of the media. 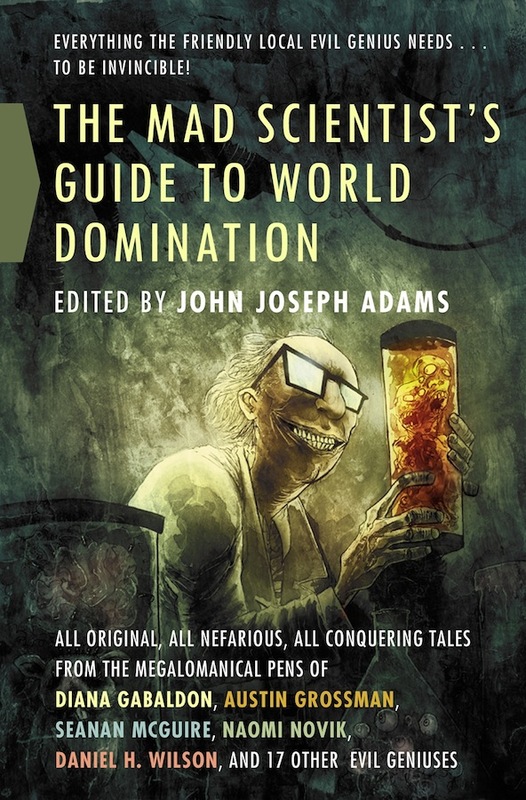 I thought that the mad scientist in question might be justifiably peeved at the situation, and decided to write a piece in which he got a chance to present his side of the story. It went through a lot of drafts before I finally figured out what it was about, which is unusual for me. The basic structure was there from the beginning, but I kept changing the emphasis and the details. One of the key concepts of the ending didn’t appear until the fourth draft. Also, the first version I submitted, though it didn’t mention either the mad scientist or the superhero by name, was very clearly about a specific character from one of the best-known comics publishers, and the editor told me I couldn’t do that. As has often been the case, I railed against the requested change, but then found that when I’d made it the story was greatly strengthened. After reading this story at a couple of conventions and receiving rave reviews for the story and performance, I decided to make it into a video. The nature of the story (plus my friend Robin Catesby’s mad video skills) makes it work really well as a video and I’m extremely pleased with the way it came out. Once I was an astrophysicist. Once I struggled only with balky equipment, recalcitrant equations, obstinate administrators. Once I was well on the way to uncovering the secrets of the Universe. But then he arrived. The caped and costumed alien who has occupied my days and dogged my dreams for my entire adult life. You know him as Ultimate Man, or the Emerald Avenger, or the Champion of Humanity. You know me — if you think of me at all — only in relation to him: “Doctor Talon, Ultimate Man’s constant foe and implacable adversary.” Or perhaps to you I am “Doctor Talon, mad scientist” or “Doctor Talon, criminal genius.” But though I do not deny that some components of my actions have been against the law, I know that history will eventually exonerate me. Listed on the Tangent Online Recommended Reading List.